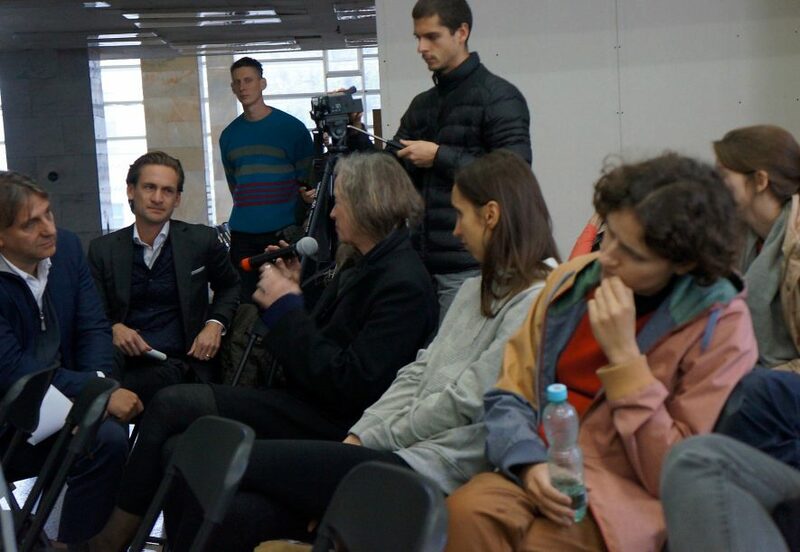 In October 2015 we organised our first debate in Kiev, at the Kiev art biennale “The School of Kyiv.” One of the Dutch participants, Mathieu Segers, Professor of European integration and International Relations, opened the programme with his column “The Borders of Europe”. I come from a part of the world where many people, not that long ago, thought and believed that borders between nation states formed a phenomenon of waning importance, especially in Europe. Now this turns out to be a tragic misperception of the Europe that is in the making since the end of the Cold War. Borders and nation states set the tone, chaos and intimidation threaten the vulnerable. What I can contribute here today is not much, not very practical and it may sound fairly detached to you. It is a Western European view on some aspects of the history of European integration, which, I hope, may be of some relevance in your and our efforts to fathom the endemic question of Europe’s borders in the present. Let me first take you back in history, to the spring of 1948 in London, one of the far Western outposts of old Europe. There, in 1948, Ernest Bevin, the British minister of Foreign Affairs, was on a feverish quest to construct what he called the ‘Western Union’. Bevin’s Western Union was an ambitious project of cooperation between the nationstates of Western Europe. Deeper cooperation was felt an urgent task, now that it had become unmistakable clear that communism and the Soviet Union were a direct threat to peace and stability in Western Europe. Bevin had high hopes; also because it was his aim to reach beyond the merits of practical cooperation in the domains of security and economics. His Western Union should also form a ‘spiritual union’ – a deeper and more fundamental basis for European unity. Like many of the politicians of his generation Bevin was confident that a spiritual common ground did exist in Europe. There was one little problem, however: Bevin and his staff were unable to find what they sought. They couldn’t come to a proper description or definition of a coherent and consistent set of European values, let alone of the ‘European identity’ at the heart of the envisaged spiritual union. They were simply unable to find an answer to the question what it was that united Europeans; What is was that made Europeans European. Bevin and his staff called in the help of the famous Oxford professor Isaiah Berlin. Berlin reluctantly accepted the request and gave the question of European identity and spiritual union some thought. He then penned an advise to the minister. His message to Bevin was clear: the minister was in search of something that did not exist. Bevin’s Western Union would not fly. Soon after its conception, the spiritual and cultural ambitions inherent in Bevin’s original blueprint vanished in the wake of the Cold War, its brute geographical logic of bipolarity, and its ultra-simple dichotomy of good and evil. The reality of the Cold War reality was cruel in many aspects. Yet it also brought order and stability to an uncertain world full of fear, guilt, and self-doubt. In a way, Europe got the Europe it deserved: split, fearful, and subordinated. It was against this backdrop of the Cold War, that Europe’s most far-reaching project of hope and reconciliation took off. In Western Europe, the precarious and vulnerable process of European integration, which started in the 1950s, would transform into a major success, bringing stability, welfare, and wellbeing to Western Europe. As the Cold War decades past, European integration became a surprisingly winning endeavour. But nobody knew what it entailed exactly, what it meant. Stronger even, its nature and essence were interpreted in radical different ways. Two Frenchmen, who have been very influential in the history of European integration, are illustrative. The first is Jean Monnet, the father of the post-war process of European integration. The second is Charles de Gaulle, premier and president of post-war France and a shaper of European integration in the late 1950s and 1960s. In the eyes of general De Gaulle, European integration was an instrument of politics, French politics to be precise. That instrument ought to be used to promote French grandeur and European independence of the United States (in that order). During the first decades of the Cold War, De Gaulle had concluded that there existed evident contradictions between American and European Cold-War interests in almost every policy domain of vital importance to France and Western Europe, including nuclear weapons, raw materials, and stakes in the decolonizing Third World. According to De Gaulle, this situation obliged the Europeans to strive for independence from the United States, which ultimately – beyond the temporary realities of the Cold War – would imply some kind of European association with Russia. Yet, whereas De Gaulle saw European integration as a stepping stone towards an essentially European-large continental concert, closely linked to Europe’s (former) colonial overseas territories and Russia, Jean Monnet – diametrically opposed – was convinced that the integration process first and foremost should strengthen the ‘Atlantic community’ in order to confront the Soviet threat. According to Monnet, the latter was the absolute priority, after which a successful ‘Atlantic partnership’ could serve as an indispensable model of multilateralism in the post-cold war era. This model could then change the whole world for the better – a wind of change, blowing from Western Europe. The European visions of Monnet and De Gaulle turned out incompatible. This incompatibleness was one of the main reasons behind the fading momentum of European integration during the 1960s, 1970s, and 1980s. The puzzles concerning the boundaries of European integration remained unsolved. What was Europe? Was it an a-political project of technocracy and economics? Or was it an essentially power-political undertaking? Was it Atlantic, or not? Who belonged to it? Was it morally driven or was it limited to the practicalities of interdependence? Nobody knew. De Gaulle and Monnet, however, did agree on one crucial issue. They both understood reality as ‘constant movement’ governed by the inevitable caprices of what the French philosopher Henri Bergson has called la durée – a historical stream in which mechanistic causality (cause and effect patterns) does not exist. Consequently, both men realized that the power and influence of their ideas ultimately depended on les circonstances, the historical context, its events and ‘fortuna’. It was a preoccupation of Monnet and De Gaulle to be prepared and flexible enough to exploit a future unforeseen. They both felt that history’s most dangerous trap was the seduction that comes with the eloquence of deductions based on past experience, and the connected idea that history can be understood as a logical chain of causes and effects. Especially according to De Gaulle, this seduction was very present and dangerous in modern Western Europe. It could deceive man into believing that rational choices are possible and that he can govern history – a form of make-believe and a recipe for disaster. Some decades later, it was precisely this ‘seduction of deduction’, which would work stronger than ever in Europe. After the fall of the Berlin Wall, the implosion of the Soviet Union and the end of the Cold War, the apparent success of European integration blinded out much of history and its caprices. The historically overwhelming process of EU enlargement, which kicked in during the early 1990s, was perceived as the ultimate confirmation of the enormous success of European integration. Although completely unforeseen, Europe’s victory over history seemed very real and almost total in the eyes of many. And what was more: there appeared to be a unique window of opportunity to change Europe and the world for the better, as Monnet had hoped and worked for so dedicatedly. Monnet’s dream came true. People saw the force of reconciliation reaching out further and further, far beyond the boundaries of the Western European heartland of European integration, going deeper and deeper into EU’s neighbourhoods. However, the enlargement process also transformed the EU into a potential major force of geopolitics. At least this was the case in the eyes of the beholders in and outside Europe. As the European Union’s unprecedented episode of enlargement unfolded, the simple and brute facts of geography set the stage for the return of history so few reckoned with. Europe’s unanswerable question came to the forefront again. Where is the border? Where are the borders of European integration? These are maddening questions to Europeans, today maybe more than ever before. During the first decades of this millennium Western Europeans often believed that this Faustian question would automatically go away, if time allowed the power of reconciliation to do its work, reaching out to the East and South. And they were confident time was on their side. This might have been a painful misperception, a tragic form of wishful thinking and make-believe. Since the victims of Maidan, even the many spoiled among the Western Europeans now know that the peaceful expansion of European integration builds no exception to the iron rules of the brute facts of geography. On the contrary, EU enlargement has reinforced geography’s violent workings. EU borders form no exception to history. These borders too demand human lives and nourish rampant distrust. It may be seen as a tragic irony of history, that it is precisely Europe that is caught by surprise by this twist of the plot of history. That it is precisely Europe that finds itself taken over by events in the present storm of intimidation, despair, fear, disorder, and bluff, which redefines the new old world of the post-Cold War era at this very moment. In a candid letter of 1950 to his friend George Kennan – the infamous American diplomat and inventor of Truman’s containment policy towards the Soviet Union – Isaiah Berlin reacted to his friend’s emotional revulsion from Soviet totalitarianism. Berlin wrote: ‘I feel that we must avoid being inverted Marxists’. According to Berlin, the real weapons of the West had to be sought somewhere else: in the protection of individual freedom and the imagination that comes with that. Precisely these weapons were needed to protect the borders and institutional boundaries, which guaranteed the constitutional states of the West. This was the case, because, as Berlin phrased it to Kennan: ‘whereas you say that [Soviet totalitarianism] is an isolated evil, a monstrous scourge sent to try us …, I cannot help seeing it as an extreme and distorted but only too typical form of some general attitude of mind from which our own countries are not exempt’. European integration has constructed boundaries within societies and between people in order to temper raw human nature – yet at the same time it remains built on interhuman relationships, cooperation, and reconciliation, not on ideologies or invented identities. But like Europe’s geographical borders, EU’s institutions too, are very vulnerable. In the end human nature may turn out far stronger than EU’s imperfect and halfway-house institutions … Europe urgently needs fresh imagination to defend them with more courage than we do today. But it appears doubtful if we can. We don’t know how. Inspiration and imagination are terrifyingly scarce in the Western European heartland, where the neglect of history is worryingly omnipresent. Any serious help is very welcome. It is shameful but true. 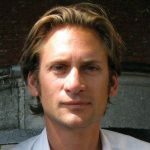 Mathieus Segers is a Dutch historian and professor of International Relations and European Integration at the Department of History and Art History, Utrecht University, the Netherlands. He is a regular commentator on European affairs in Dutch media and the author of Waagstuk Europa (2014) and Reis naar het continent (2013).